The Norton Museum of Art is undergoing a magnificent transformation with a grand opening set for Feb. 9, 2019. You’re invited to help celebrate by helping to make giant puppets for the grand opening parade. 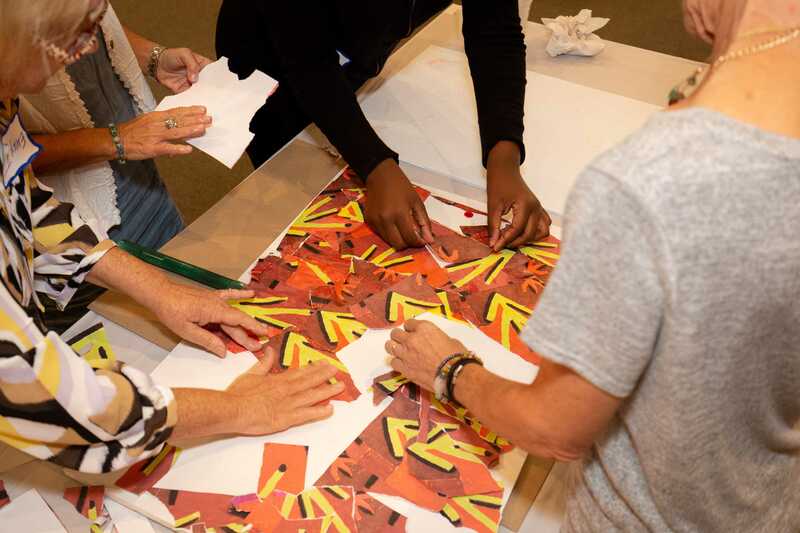 At the workshop, you’ll choose your favorite digitized work of art from the Norton Collection then “collage” it into a pattern, texture, or composition for a section of one of the gigantic puppets. The giant puppets will be carried in a festive procession around the Museum preceding the opening – and you’re invited to that, too!. This workshop is geared to families with children ages 6 and older.